Chances are that someone in your life has asked you out for sushi at least once. That’s because it’s a crowd-pleaser, there is literally a roll for everyone. Different types of fish, raw or fried variations, and added ingredients help to make each roll unique. It is also a social event and an experience. It’s great to get friends together, chat, and try different rolls. It’s more than just lunch. Some people, however, are nervous about it. This is typically people who haven’t had it before, don’t know what it is, and assume that everything is just raw fish. Wrong! Check out these 8 facts that you may not have known. Also, tell your friend who may be nervous about trying it for the first time. When you head to a restaurant, the first thing you generally receive is a pair of chopsticks. This can actually make people nervous and turn them off from sushi if they don’t know how to properly use them. If you’re one of those people, have no fear! 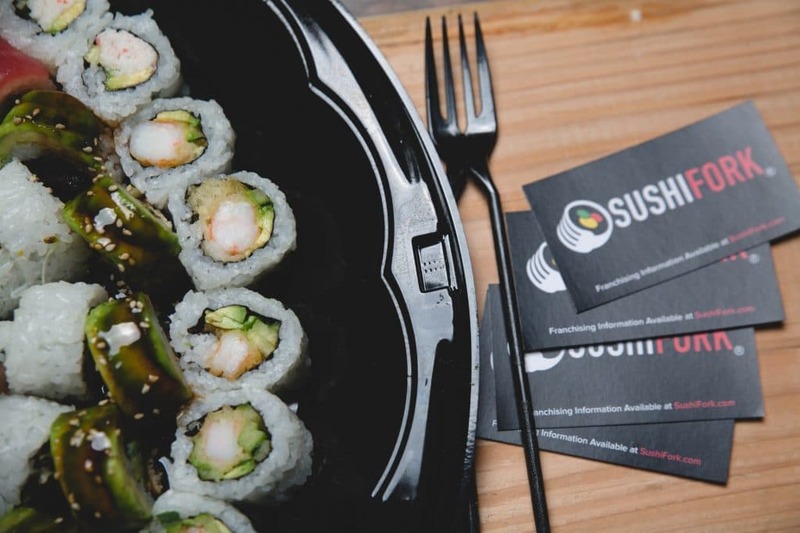 Sushi is actually considered a finger food. So, dive right in with those hands. Just don’t make a mess! Sushi is meant to be eaten in one or two bites. That’s why the roll is cut the way it is. Don’t gently nibble on each individual piece. That will actually cause more of a mess, especially if it’s made with tuna or rice. Instead, pop the whole thing in your mouth. This helps the different flavors and ingredients mesh together well. 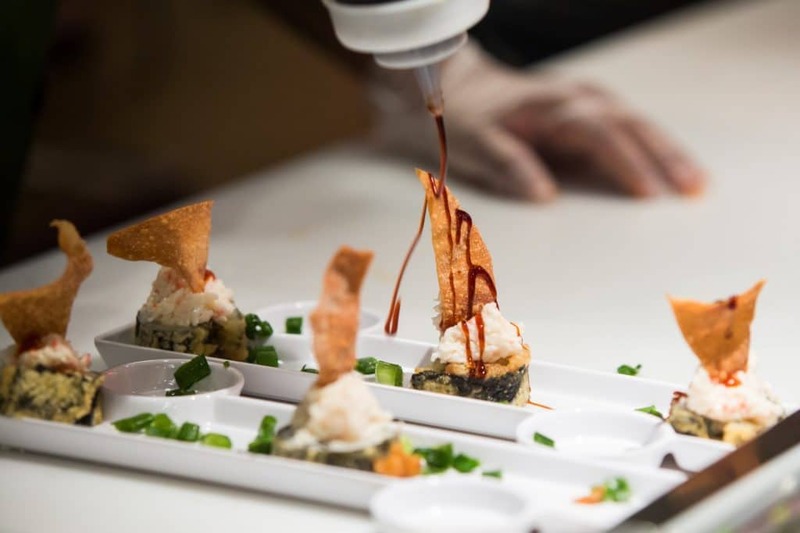 Sushi chefs put a lot of heart and soul into their craft. They want to make the perfect roll for you. That’s why many sushi restaurants show their chefs out in the open. You get to see them in their element. It’s considered rude if you take ingredients out like fish or avocado to eat separately or to just throw away. That’s why you should carefully pick your roll ahead of time as to not offend the chef later. Soy sauce is delicious. Your piece doesn’t need to be completely doused in it, however. By doing that, your roll becomes soggy and will fall apart. It also masks a lot of the flavors that you’d experience otherwise. What a lot of people don’t know is that the fish inside the roll is the only part that’s meant to be dipped in the soy sauce. When you head out for sushi, you’ll typically get a few different rolls. A lot of places offer all you can eat because they want you to experiment. There is, however, a proper way to choose which one to eat first. The light rolls are meant to be eaten before the dark ones. That’s because the dark rolls have a heavier taste, and you don’t want to fill up on those before trying the others. 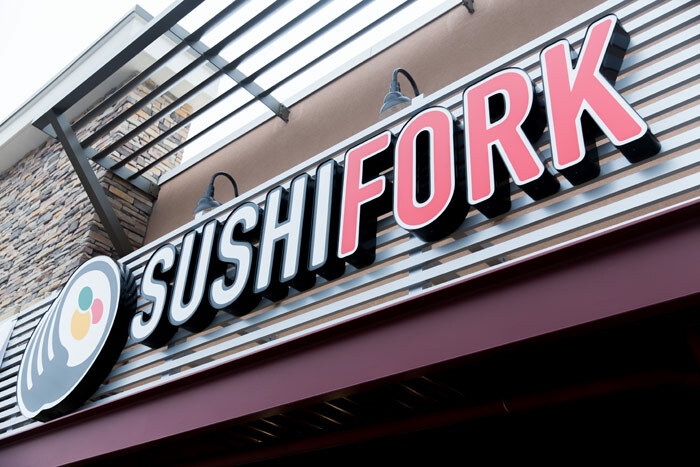 You can actually thank the 1980’s for being the reason that there are so many restaurants dedicated to sushi today. That’s because it skyrocketed in popularity around then thanks to Americans being more health conscious. There are still to this day many healthy options of sushi available. Simply opt for raw instead of fried fish. Also choose rolls packed with cucumber and avocado. 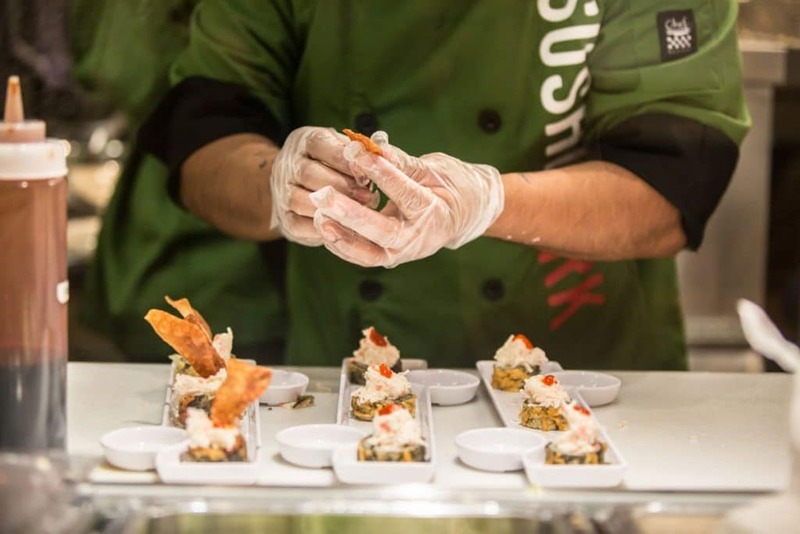 Sushi chefs undergo rigorous training. That’s because they’re handling raw fish which has the potential to get people sick if not prepared properly. They also have to be trained to choose fish without parasites and how to eliminate them. It’s not an easy task. Sushi might actually help you live longer. Misao Okawa was the world’s oldest person until she died fairly recently. She credited sushi as one of the reasons for her longevity. 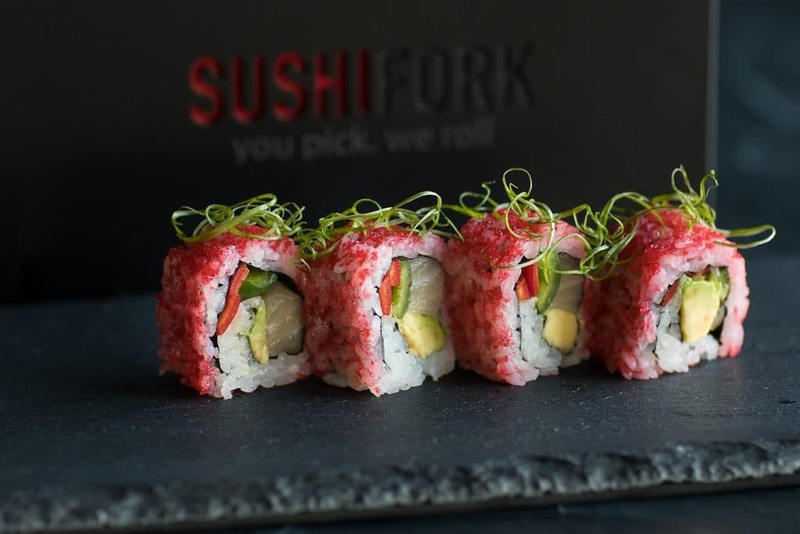 Eight reasons to try SushiFork Sushi! So there you have it, eight reasons to enjoy some sushi. It doesn’t matter if you’re grabbing lunch on the go or dining with a crowd. This is something that everyone can enjoy. 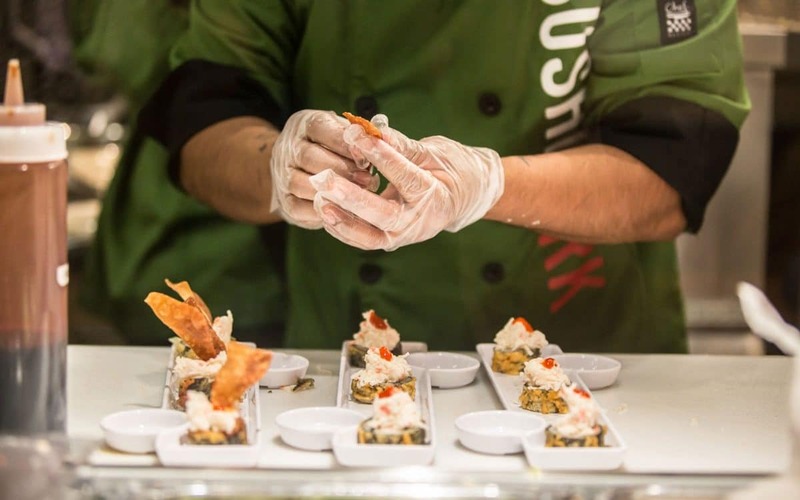 At SushiFork in Tulsa we know that sushi is one of the most beloved foods by people of all kinds, and this is why choosing to cater sushi is a great way to delight the senses of anyone who is attending a personal, public or corporate event. 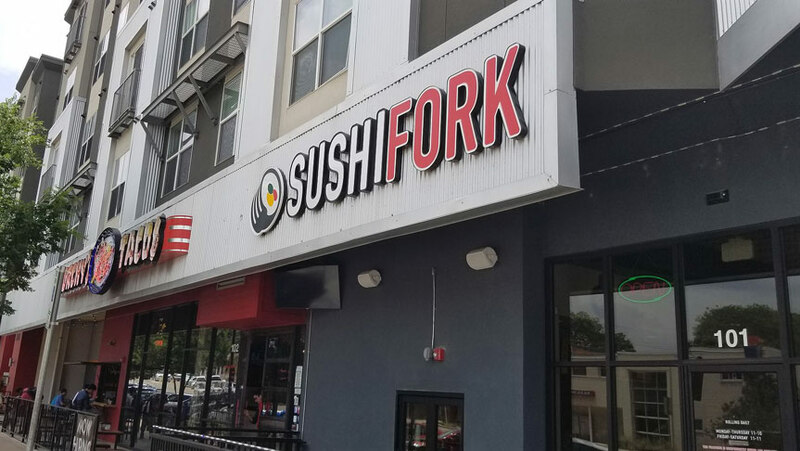 SushiFork of Tulsa catering is affordable, fun and highly customizable so that you can have dishes created to meet your guests’ needs and desires for delicious and freshly-prepared sushi.